Amidst talk of introducing a Bill to raise the retirement age of Supreme Court and High Court judges, Supreme Court Judge Justice Kurian Joseph on Friday suggested that the age of retirement of judges at all levels of the judiciary be increased to 70 years. He advanced that there be no disparity in retirement ages of the judges of the apex court, the High Courts as well as the subordinate judiciary. 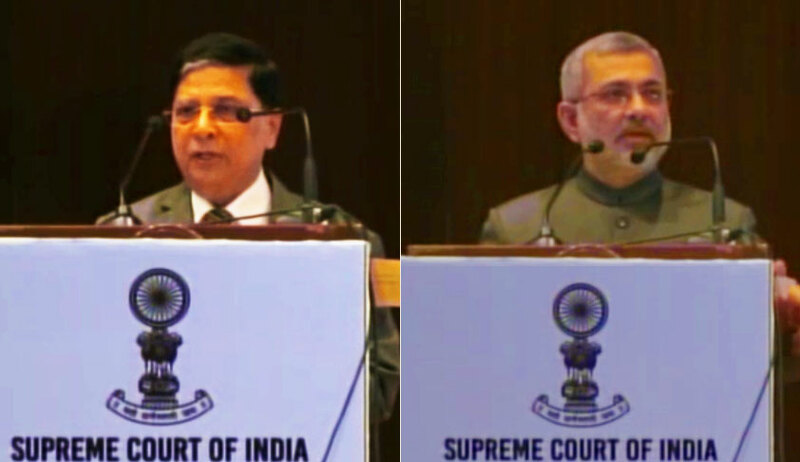 Speaking at the Conference on ‘National Initiative to Reduce Pendency and Delay in Judicial System’, Justice Joseph once again stressed the need for the Chief Justice to consult the other senior most judges of the court in wielding his power in deciding the roster and allocating matters. The judge reflected that the role of the other senior judges, in the exercise by the Chief Justice of the Authority as the ‘Master of the Roster’, assumes greater significance in the High Courts. The Chief Justice of a High Court, hailing from a different state, cannot be said to be acquainted with the experience and areas of expertise of the other judges, and hence, the relevance of the aid and advice of the seniormost judges of the High Court. It may be recalled that after a constitution bench of the Supreme Court had, in the Prasad Educational Trust case last year, held the function of case assignment to be the exclusive domain of the Chief Justice, four seniormost judges of the Court, of which Justice Joseph was one, had, in their much-publicised January 12 press conference, criticised the trend of constituting ‘benches of preference’. Subsequently, that the operations on the Administrative side are the sole recluse of the Chief Justice was re-asserted by a bench headed by Chief Justice Dipak Misra himself and in another verdict rendered by Justices A. K. Sikri and Ashok Bhushan. Further, Justice Joseph weighed in that there may be no interference of the Executive in matters of judicial appointments and that the recommendations of the Collegium be processed without delay, within 2 weeks in the case of the Supreme Court and within 3 months so far as the High Courts are concerned. It may be recalled that while Uttarakhand Chief Justice K. M. Joseph’s name had been recommended for elevation to the apex court alongside Justice Indu Malhotra’s, only the latter was cleared, while the former was returned for the Collegium’s reconsideration after the government had sat on it for weeks. The Collegium has only recently reiterated Chief Justice Joseph’s name. The judge also encouraged the appointment of judges to the higher judiciary on an ad hoc basis. Finally, in keeping with the spirit of the independence of the judiciary, Justice Joseph asserted that he shall not accept any post-retirement employment with any government or otherwise.